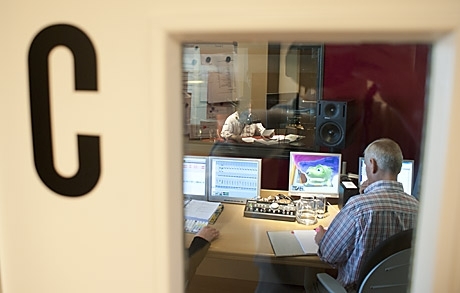 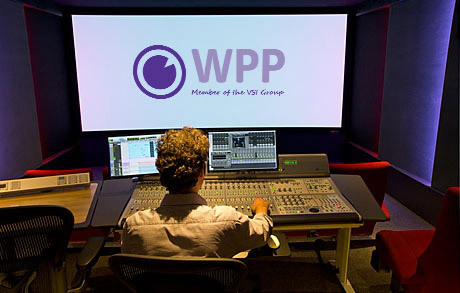 Studios - Wim Pel Productions B.V.
WPP has twelve professionally equipped sound studios, a transfer-copy studio and two DVD studios. 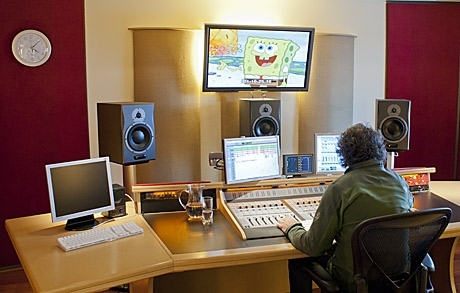 All these studios use the latest version of Protools software and thanks to a glasfiber network it is possible for all studios to work on a single project simultaneously. 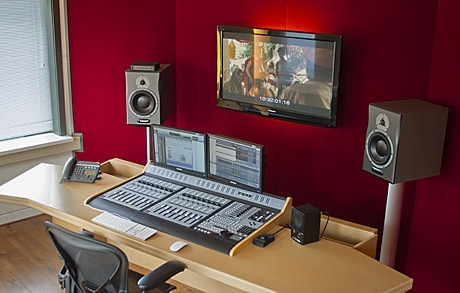 Our advanced hardware and software produces final mixes in all possible formats, from internet streams to 7.1 surround and on a wide variety of media. 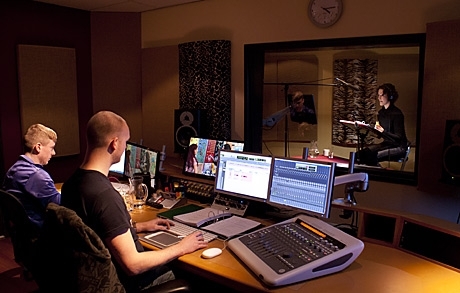 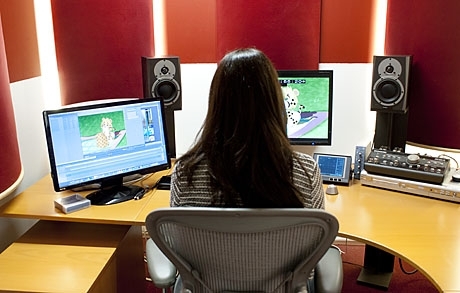 In our DVD studios we can produce a complete DVD for our customers. 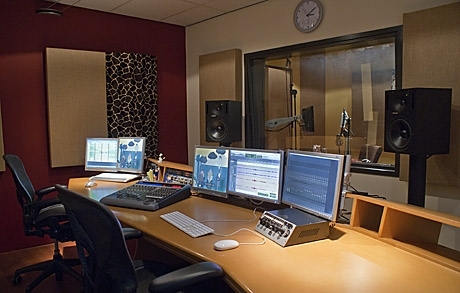 For enquiries, please get in touch with Jeroen Pel. 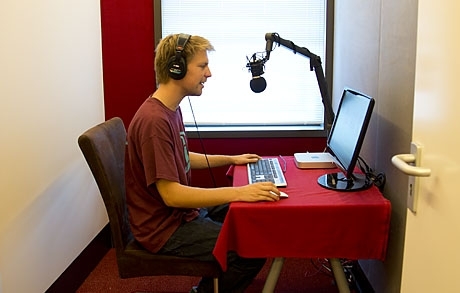 He will be happy to show you how we can benefit your business. 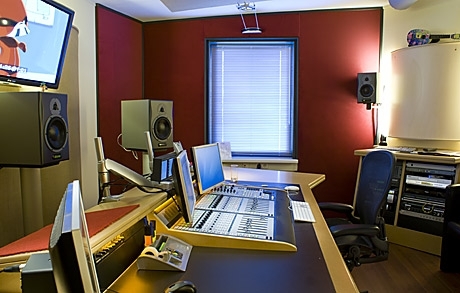 Studio G is equipped with a spacious voice both and a folystage. 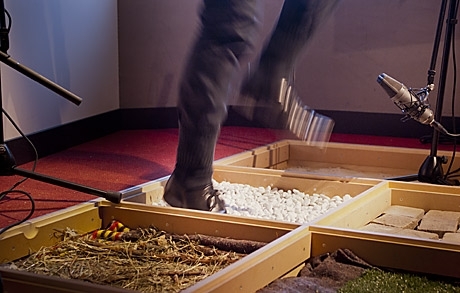 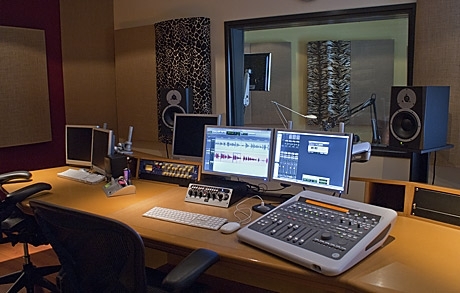 A suitable space for creating and recording sound. 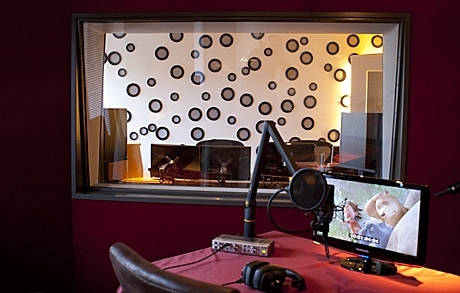 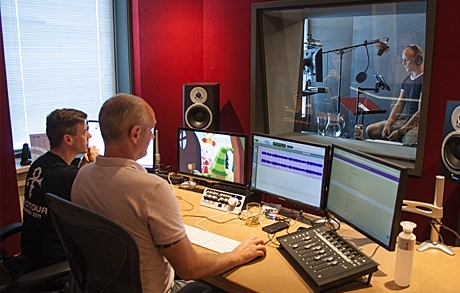 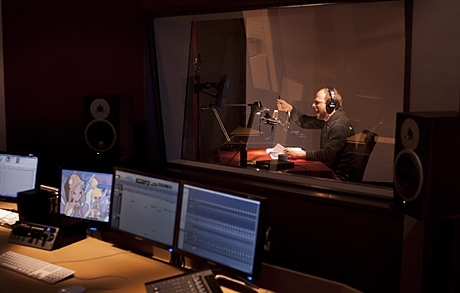 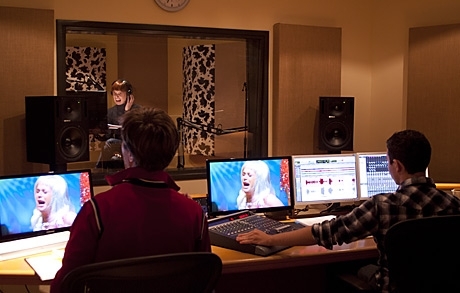 Studio J is designed and built for making voice-over recordings and audio books, a very pleasant space. 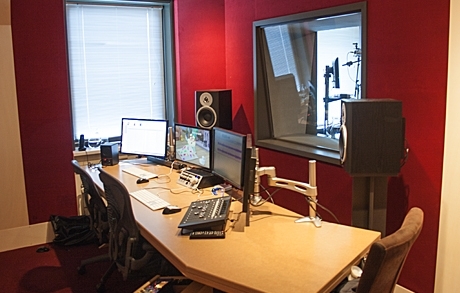 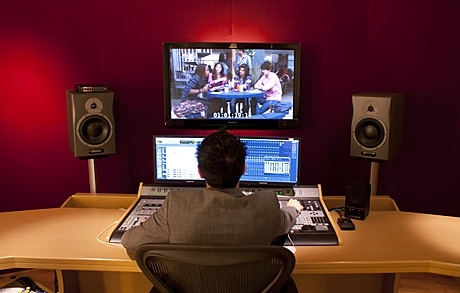 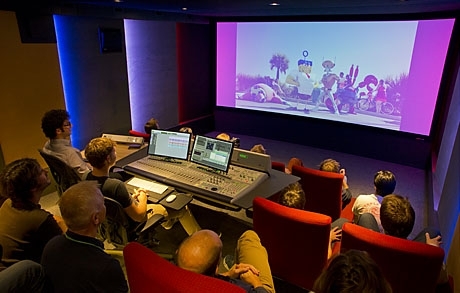 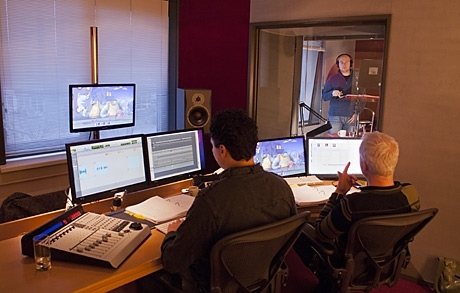 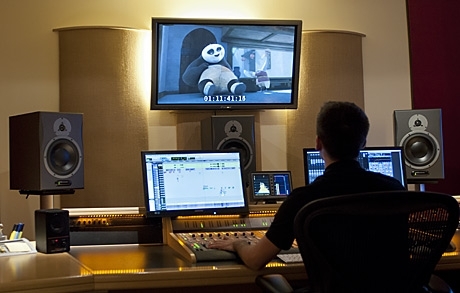 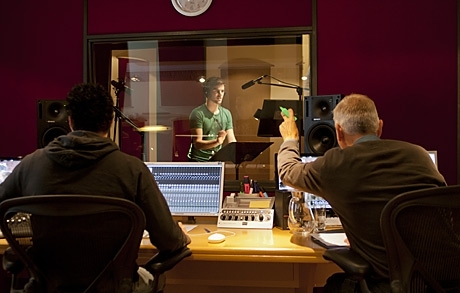 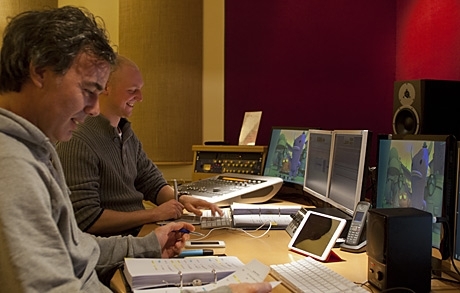 A large theatrical mixing studio designed for mixing and audio postproduction. 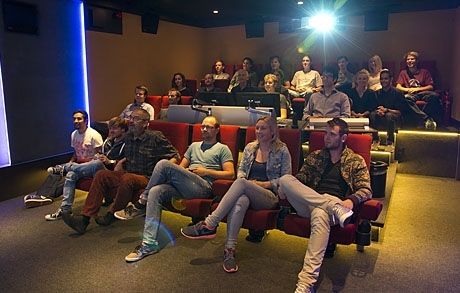 With the presence of 18 comfortable seats it is perfect for holding viewings and presentations.